The Art of Influencing & Negotiation Skills | EVENTSMASTERY ASIA PACIFIC: "Smart Leverage-Promoting Your Events"
Early Bird & Group Rates Available! Negotiation is a skill that we use almost every day. It is also one of those skills that everyone learns on the job. From early age, kids learn how to negotiate with their parents over what they want and enhance this skill as they learn from their success. However, as we grow we seem to lose that skill and become less successful in getting exactly what we want. Somehow our perspective changes and we develop bad habits. Unfortunately, most people are not trained systematically on negotiations even though this skill can be quite beneficial to them in both their personal and professional lives. The importance of negotiating is not about winning at all costs. To influence and negotiate, we recognize that we enter into the negotiation by aligning both party's goals in such a way that both sides win in the long term (the bigger picture) irrespective of whether we are the giver or the taker, buyer or the seller. We want to win people around without causing conflict or disagreement. When we become more aware of the impact we have on others as well as an understanding of what drives our key counterpart’s opinion and position is vital when negotiating & influencing others. The core principle in this workshop is to focus on the single concept of finding win-win solutions. The program is based on developing trust through openness instead of posturing to create deception. This program looks at the aspects from both parties’ perspective. The hands-on approach allows participants to experience the process by using various situations designed to illustrate the impacts on both sides. Concepts in positioning are evaluated from both perspectives and the best ways to position strategies are developed and analyzed. This program also looks at the details of the various stages of the influence and negotiation process. It provides strategies and develops the skills that enable both sides in the negotiation to retain control over the key aspects while ensuring that they mutually move towards a satisfactory agreement. It covers a wide range of topics such as negotiation strategy, psychological tactics, human emotional states, bargaining and so on which prepares delegates for a variety of situations that require negotiation. Comprehensive step-by-step instructions are provided to help delegates understand the core principles of negotiation and monitor their progress through assessments, practical exercises & role-play. Finalize the outcome of your negotiation to get exactly what you have asked for. Most often people fear negotiations because they do not know who they will meet or how the other party will react and what strategy they will use. Furthermore they do not know what the competitors are offering. In fact all the energy that goes into such fears is not necessary. Going into a negotiation with the right mindset and understanding your responsibilities as a competent negotiator which is having the real purpose of negotiation in mind, will create the conditions for a successful negotiation that will be carried out smoothly, in a relaxed atmosphere and where the outcome is a full win-win collaboration. In this section, we will revisit the fundamental principles of negotiation & dwell into in-depth study of the characteristics & skills of an effective negotiator. We are judged not only by the content of what we say but also by how we say & what we do when we say. Four out of ten newly recruited managers will fail within the first 18 months because they are not aware of the way their colleagues or customers want to be treated. The way we behavior has a direct impact on our interaction with people and in particular on the success when we negotiate. Understand Social Style, which is the world’s leading Behavioural Style model will promote your relationship with people that you encounter every day. Practical skills in effective interpersonal communications & understanding individual and group behavior allow us to communicate & build trust with people quickly and thus increase the success rate of arriving at a win-win situation when we negotiate. Why do confident negotiators follow a process? There is no magic or mystery to negotiations or to what makes a master negotiator. Every time you negotiate, you have to make choices that affect whether you achieve a successful outcome for your business. To get the best outcomes, you need to understand the steps involved in the negotiation process because in the event when things goes wrong, you know exactly where it went wrong. There are 6 steps and practices that consistently work. The model presented here identifies the six stages of any negotiation in a simplified framework that helps you to analyze, absorb and apply the best negotiating practices. "If you cannot describe what you are doing as a process, you probably do not know what you are doing." The How, When & Why of using icebreakers! Besides understanding the importance of needing a negotiation process, always approach negotiations with a clear set of strategies, messages and tactics that can guide you from planning to closing. When people prepare for bargaining encounters, they spend hours on the factual issues, the legal issues, the economic issues, and the political issues. They spend no more than ten to fifteen minutes on their negotiation strategy. Between their opening offer and the conclusion of their encounter, most individuals “wing it” thinking of the interaction as wholly unstructured. If they only understood how structured bargaining transactions are, they would know what to do during each stage of the process by using the right techniques & strategies. This program will benefit those who need to develop skills for more effective negotiation both within and outside the organization and especially for those who take part in formal negotiations. This workshop makes use of individual self-assessments, team discussions, brief negotiation dilemmas, lectures and role-plays. Participants analyse their individual negotiating situations in depth and prepare sound, workable strategies for their next negotiating session. 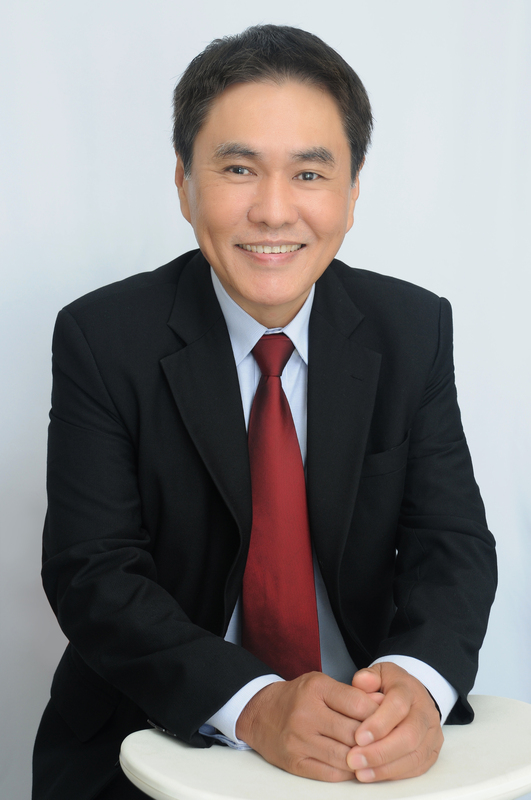 Robert Leong has more than 15 years experience in the training and development industry, having served & worked with organizations and institutions in Thailand, Indonesia, Singapore and Malaysia since 1999. Prior to his calling as a professional speaker, his career has included senior positions with managerial responsibilities in private companies in Malaysia and Singapore with more than 20 years of regional business experience in sales management consultancies. He was a Senior Director and Chief Executive Officer of several IT companies. His teaching methods, techniques and the skills he possesses are gleaned from personal experience through the years as a public speaker. He has the unique ability to reduce a seemingly complex issue into a series of easy to follow steps on how to adapt to every scenario in today’s business & corporate world which he demonstrated it during his career as a professional speaker. He is well accepted by his clientele from both the private sector & government linked companies (GLC) which includes some of the more reputable names such as ALSTOM Power Asia Pacific, Avery Dennison Materials, Bauer Equipment Malaysia, Century Automotive Products, Dunlopillo Malaysia, KDU Smart School, Lanson Place Residence Hotel, LG Electronics, Malayan Steel Works, Malaysia Debt Ventures, MAS Academy, MIMOS, Nestle Products, NSK Bearings Malaysia, UCSI Education, Perbadanan PR1MA Malaysia & Telekom Smart School. He is a Nanyang Polytechnic (Singapore) graduates in Electronics Engineering from the School of French-Singapore Institute and holds a professional qualification in Marketing Management (GDMM) from the Singapore Institute of Management. This programme can be conducted as in-company training programme, customised to meet your company training needs or companies can send their staff to attend our public workshops.